I was invited to the Paris Fire Protection District Christmas banquet on December 27, along with Fire Marshal Tim Bean. Paris FPD is served by 30 dedicated volunteers that answered 132 calls last year, mainly being grass fires and helping mutual aid to their neighboring departments. After a nice steak dinner, I had the privilege of presenting the department with a FFAM certificate of appreciation for their donation of Gatorade to the State Fair Fire Department. Thank you Chief Jones, and Firefighters Ronnie and Cy Fields for the invite, and keep up the great work with the department. Winter Fire School will be here before you know it. The MU FRTI staff has been working hard for a another successful fire school. The dates for Winter Fire School are February 1-3, 2019. The expo is on Friday, February 1, at the Holiday Inn. Please make sure to come by the FFAM booth and say hello and introduce yourself. We will be glad to meet you. Thank you to Kevin and Gail from MU FRTI for your hard work and opportunity for the FFAM to be a part of your event. On May 11, in Columbia at the Mid-America Harley Davidson dealership, there will be a Missouri Fire Service Charity BBQ and a Smoke Out to benefit the Firefighters Memorial Foundation and the Firefighter Cancer Support Network. This event will be held from 9:00 a.m. to 6:00 p.m. 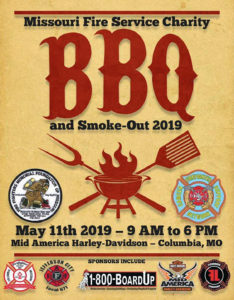 If your department has what it takes to win a BBQ contest, please get your team in soon. Four people maximum to a team. 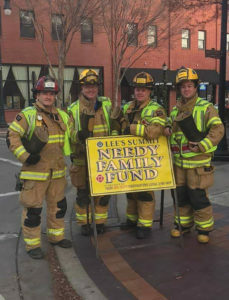 The Missouri State Fair Fire Department has a team representing the FFAM at the event. You can contact Gail at MU FRTI if you have any questions. In July, I will be attending the Missouri EMS Conference at Tan-Tar-A. I will be there promoting the FFAM and trying to get more potential members. The FFAM membership last year voted to include EMS workers and 911 dispatchers into the membership. If you know of a ambulance service or 911 dispatch center that would like to become members, please let me know. 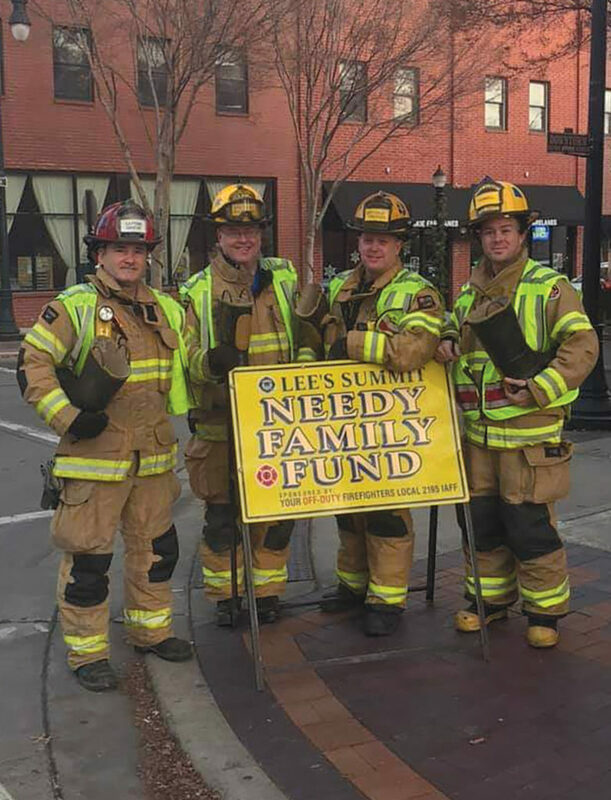 If the FFAM can be of any assistance to you or your department, or you would like us to attend your event, please feel free to contact us, we will do our best to attend. I can be reached at grant_oetting@yahoo.com or by my cell phone at 660-229-4525. Stay safe my brothers and sisters… Until next time.